(Newser) – Post-traumatic stress doesn't fizzle away after a few years—or perhaps even a lifetime. 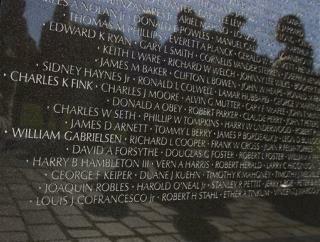 About 11% of Vietnam War veterans still suffer from the disorder today, according to a new VA study, reports USA Today. It builds off landmark PTSD research conducted in the 1980s and finds that about one-third also battle major depression. The study also found that 18% of vets who suffered from the disorder had died before retirement age, twice the percentage of those without PTSD, reports the New York Times. Minorities, those who enlisted before high school graduation, and those who killed multiple times were also found to be at a higher risk. Seriously: Don't forget that most of these Vietnam Vet PTSD sufferers didn't volunteer. They had no choice. I can't imagine turning 18 and then being threatened with criminal prosecution if you don't go thru "boot hell", get a gun and then go into a kill or be killed situation. PTSD is a bogus disease like ADD, there are millions of vietnam soldiers who went through worse and came home with no ptsd. Just like there are millions who weren't right in the head due to the war and eventually got right and set it all behind them. The ones claiming ptsd are just looking for a free ride. Nothing stays in the head that long, the war has been over for decades. Vets still whining about ptsd need a quick dose of get off the gravy train reality. Hey a child gets ptsd from having to put up with obnoxious teachers, get over it. Vets tend to 'self-medicate' with booze and drugs!